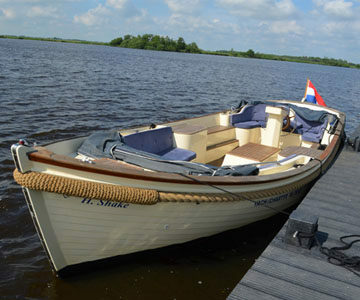 The Bravoure 34 is designed by Martin de Jager and built in De Drait’s shipyard in Drachten. Because of it’s tough exterior this boat has a timeless design. The ship has many windows and hatches make for a light and open feel inside. 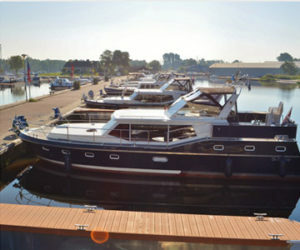 Equipped with luxurious double beds in the bow cabin. Due to the cabin below the saloon, there is room for two more people to stay. The Bravoure 34 offers enough room for 4 people to stay comfortably inside. There’s a couch that fits two people, and the spacious kitchen is located in the front of the ship. 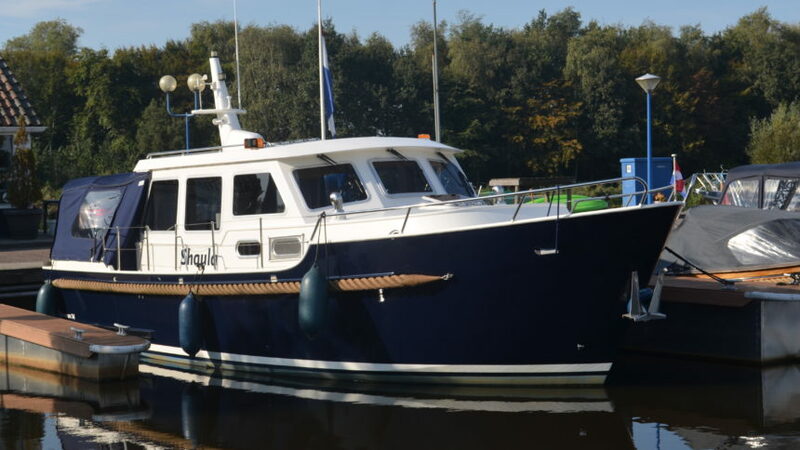 This Bravoure 34, named Shaula, has been equipped with a new layer of antifouling in 2016, and underwent a rigorous underwater inspection in 2018 here at De Drait Yachting. 2016 was also the time of the last gas test, which will be required again in 2019. The engine underwent servicing in 2016. After that, in 2018 the Volve propeller shaft seal has been renewed. Spare materials for the engine as well as the lighting are present. On board of the Shaula you’ll find a green folder, containing all important information describing the ship and it’s devices. The Bravoure 34 also has a Belgian registration number. This number is connected to the ship, and not it’s owner. The ship also has 30 meters worth of cable, and a winter tent. Teak interior. Kitchen countertops are made out of solid plastic. Front cabin has a double bed. Spacious shower and toilets. There’s also additional space for two people under the salon. Inside the salon you’ll find a large couch, multiple closets, but also a steering stand with another couch, suitable for two people. The ship’s swimming plateau has an integrated couch and a mirror in its door. The dashboard is fitted with a joystick to control the bow propeller, gauges for the waste water reservoir, drinking water reservoir and diesel reservoir. 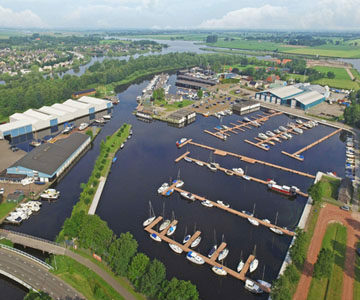 Besides that there is a rudder-stance indicator, engine information meters, switches for navigational lighting, the horn and switches for controlling the bilge pump. Comes equipped with navigational system with GPS, depth meter, windscreen wiper controls, Garman plotter and also a wind meter. List with useful information about the boat is also on board available.